The great philosopher, Aristotle, was fascinated with how rhetoric functions. How an individual says something, the emotion, tone, and sentiment used, conveys as much or more meaning than the actual content of the message. Aristotle defined the three key persuasive appeals of logos, ethos, and pathos, and the theory of rhetoric was born. The concept of the rhetorical triangle is often foreign to most beginning writers; however, the components that make up the rhetorical triangle— logos, ethos, and pathos—are crucial elements to most forms of academic writing. Most casual readers, however, do not always recognize these elements of persuasive argument. However, to be a critical reader and informed audience (as well as a successful writer), it’s essential a reader and writer keep a keen eye toward the elements of these persuasive techniques. How do we come to understand these appeals as we, writers and readers, construct our own persuasive writing? Let’s break each down to its simplest form, and consider how each are used. The Greek logos, means word or reason. Logos is often referred to as the idea, message, reason, or text. Logos relates to the premise, or foundation, of an argument. When an appeal of logos is in the text of an argument, the writer is appealing to reason. As we deconstruct (or construct) an argument, consider if the writer or author has presented an argument with a strong claim (thesis), and reasoning (support). The U.S. should increase funding to prevent underage drinking, as youth are at higher risk of death due to excessive drinking, are more likely to binge drink, and related economic costs are skyrocketing. In this example, the thesis is clearly stated, and the reasons are clear. But what kind of facts will back up this claim? Including reliable facts, such as statistics, testimony, surveys, experiments, and even personal experience, is essential for a successful logical appeal (logos). Look at the following statistic. Would a reader interpret this as strong support for the previous claim? According to the Centers for Disease Control and Prevention (CDC), excessive drinking is responsible for more than 4,300 deaths among underage youth each year, and cost the U.S. $24 billion in economic costs in 2010. The audience, or reader, must determine if this stat is from a trustworthy source. The CDC is part of the Department of Health and Human Services, a government agency, and is highly respected. Most readers would probably consider the source quite trustworthy, and not question the data. Are the facts clearly defined? An inquisitive reader might wonder what exactly the data means by economic costs, and how they measure those costs. This would need clarification and explanation. But the data source that is used here would most likely be considered credible, as it comes from a government agency with a strong reputation for reliable research. Greek for “character,” ethos refers to the writer’s (or speaker’s) perspective and credibility. A writer can develop ethos by utilizing effective tone and style; incorporating strong evidence and support; and including fair treatment of opposing views. Is the writer knowledgeable on the subject? What are his or her qualifications? Does the writer sound credible? Has the writer presented strong reasoning and support? Is the writer’s tone suitable for the purpose, such as the word choices? Has the writer demonstrated respect for the opposition, or merely declared it invalid? Television personalities, politicians, and athletes are often used in advertising to promote a product. While the public often admires famous individuals, does that mean we should automatically believe what they say—or sell? Would you put all of your money in an investment solely because an Olympic athlete has promoted the product? Would you follow a trendy diet because a famous TV personality says it’s the best diet ever invented? The writer’s credibility and how he or she has presented the facts weighs heavily if an argument is to be successful. Pathos, Greek for “suffering” or “experience,” refers to an appeal based on emotions. Many (if not most) politicians use emotional appeals in their arguments: the story of a family who is struggling to make ends meet to push for tax cuts; the image of a glacier breaking away in the arctic to enact tougher environmental measures; the story of a homeless family to push for more affordable housing. Another common situation pathos is used is fundraising campaigns. Direct mail solicitations almost always rely on pathos to play on the readers’ compassion, whether it be fundraising for polar bears, rain forests, or orphanages. These types of emotional appeals have been highly criticized, as they are in many ways a form of manipulation, and are often used to mislead the audience. However, effective arguments almost always use appeals to emotions such as fear, sadness, fury, distress, or hope. It’s up to the audience to be well-informed and critical, taking an active approach to analyzing each part of an argument to confirm its validity. For an effective emotional appeal, the writer must first understand exactly who their audience is and what motivates them. What are their values and beliefs? Keep in mind that often one aspect of a text could include all of the rhetorical appeals. They work together, overlapping to strengthen the argument. Remember that as you analyze other writing or are building your own argument, each appeal in the rhetorical triangle—logos, ethos, and pathos—carries some responsibility for the success—or failure—of the argument. Lunsford, Andrea A. The Everyday Writer. Sixth ed., Boston, Bedford St. Martin’s, 2016. “Underage Drinking.” Centers for Disease Control and Prevention (CDC). Aug. 2018, Atlanta, GA., https://www.cdc.gov/alcohol/fact-sheets/underage-drinking.htm. Accessed 15, Apr., 2019. With any type of essay, the writer’s job is to help guide the reader from sentence to sentence and from paragraph to paragraph. Effective transitions in an essay act as a bridge for the reader along their reading path, helping the reader to connect sections of texts and relationships between ideas. Even though there has been a small but steady decrease in the estimated number of smokers globally since 2000, it’s a different matter when it comes to vaping. For example, the number of vapers has been increasing rapidly – from about seven million in 2011 to 35 million in 2016 (LaVito, 2018). Without the transition phrase “for example,” the sentence flow would sound abrupt and choppy. While the military continues to see the number of reported incidents of sexual assault steadily increase each year, they say that surveys they’ve carried out indicate the number of victims is declining. However, many disagree with how the military is analyzing the data. According to Navy Capt. Lory Manning, the military must not rely on an increase in reporting as a sign of progress. Despite the data showing the number of sexual assault victims is declining, it could also mean that more assaults are occurring (Cohen, 2018). In the previous example, without the transition words to bridge the flow of ideas, the paragraph would be uneven and confusing. Try reading the paragraph without the transitional words in bold. How does it sound? Deciding on a college is often a difficult decision for students. Therefore, most school counselors try to provide students with different resources, such as assessments and college brochures. However, counselors need to provide students with more resources in order to help them make a more informed decision about what college to attend. In this example, the transitional expressions aid the reader to understand relationships between sentences and their ideas. While the sentences wouldn’t technically be incorrect without transitional words, the flow would be abrupt, and the reader would have to work harder to make connections. To summarize (transitioning to conclusion! ), by incorporating transitional words and phrases into your writing, you’ll create a smooth reading experience for your audience and turn disconnected ideas into a cohesive whole. Purdue Owl’s exercise on transitions found here. Cohen, Z., & Browne, R. (2018, April 30). US military sees spike in sexual assault reports. Retrieved March 16, 2019, from https://www.cnn.com/2018/04/30/politics/dod-sexual-assault-report-2017/index.html. LaVito, A. (2018, October 23). As vaping surges, teen cigarette smoking ticks up after decades of decline. Retrieved March 18, 2019, from https://www.cnbc.com/2018/10/22/ teen-cigarette-smoking-ticks-up-as-vaping-surges.html. Transitions. (2019). Retrieved March 16, 2019, from https://writingcenter.unc.edu/tips-and-tools/transitions/. Writing a poetry analysis is one of the most dreaded assignments for students. Poetry is often intimidating to the untrained reader and it often takes time and practice to learn how to critically analyze a poem. Once you understand some of the basic principles of literary analysis and learn some simple poetry vocabulary, writing poetry analysis won’t be so daunting. Simile: Comparison using like or as. Now that you’ve learned some simple vocabulary, let’s look at some ways you might analyze a poem. The first thing you read is obviously the title. This is your first clue as to what the poem might be about. The title often reflects the subject of the poem, so come back to the title after you’ve read the poem to analyze the connection to the content. To begin, it’s important to read the poem several times, at least 3. Each time you read a poem, you might find something different you didn’t notice from previous readings. Try reading it aloud. Take note of words you are not familiar with so you can look them up later. Circle nouns or phrases that stick out to you. Don’t confuse the speaker or narrator of the poem with the writer. The voice could be that of the writer, expressing thoughts or feelings, but not necessarily. The speaker of the poem may be an old man, but the person who wrote the poem might be a twenty-year-old. Is the speaker a man or woman? Is he or she addressing someone in particular? Is there more than one speaker? What is the speaker’s mood? Angry? Cynical? Happy? If you can easily pinpoint the mood, how did you know? Do you have any clues as to the main idea the speaker wants to communicate? You could uncover clues to the subject by the speaker’s tone. What is the speaker’s attitude about the subject? Angry? Hurt? Resentful? Sad? Scared? Joyful? Is there an event in the poem the speaker is reflecting on? Or is the speaker simply discussing a memory? The weather? A long lost love? Often, but not always, a poem tells a story. Did something happen? Does the speaker want something to happen? Why is the speaker talking about this? How is the poem organized or divided up? You might be familiar with traditional stanzas, or several groups of 4 or 5 lines each, but there are as many different ways to organize a poem as there are poets. A poem might have numbered stanzas, or each stanza line may have no end punctuation and flow into the next stanza. Poems are a unified piece of writing, and for the most part, don’t jump in topic from stanza to stanza, but are usually connected in meaning. You might see some kind of link in emotions, ideas, or images, a common thread that runs through each stanza. Do you notice any common thread? If there are no stanza divisions, try looking at the poem line by line or sentence by sentence. Do you notice any patterns of repeated words or images? The theme is the central idea of the poem, and often the theme conveys the poem’s message. As you put all of these ideas together, what does the poem mean as a whole? What do you think is the “take away” or the big “so what?” of the poem? The conclusions you draw about the poem will come from the language and imagery of the poem. So it is imperative to understand the denotative meaning, as well as the connotative meaning of the words. Denotative Meaning: This is the literal, or dictionary definition of a word. Connotative Meaning: This is the emotional or associative meaning of a word. For instance, a snake is often associated with evil. Hollywood is associated with glamour. Blue birds are associated with happiness. The color white or a cross is associated with goodness or holiness. 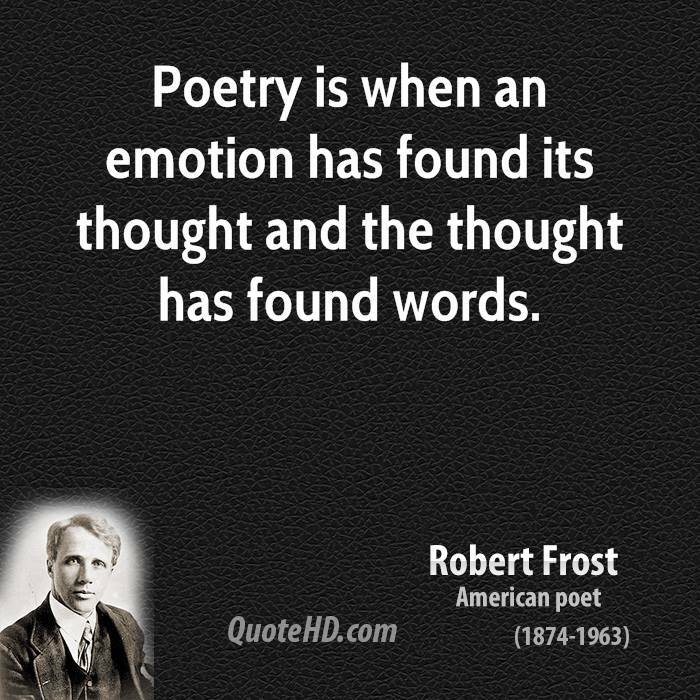 Poets rely on language and imagery to convey meaning. Understanding the denotative and connotative meaning in language is important to understand the meaning of a poem. This is only the tip of the tip of the poetic iceberg on how one might analyze poetry. Once you learn a few simple terms, you’ll find there are dictionaries devoted to poetic vocabulary. One good resource can be found on the Poetry Foundation’s website, who has a large glossary of terms, found here. Another good source is Poets.org. Writing about poetry can be challenging, but learning a few simple terms and strategies will hopefully take the fear out of your next poetry analysis. The term, “analysis” comes from the word, “analyze,” which is the “the process of studying or examining something in an organized way to learn more about it, or a particular study of something” (Cambridge.org). In high school or college writing courses, you might be asked to write an analysis on anything from a long work of literary fiction, a poem, or even media like advertisements or music videos. Regardless of what type of analysis you plan to write, you’ll focus on breaking down the subject into specific components for a close inquiry. At the most basic form, a literary and other analysis will lead the writer to look deeply into a text to focus on one or more elements. For example, you might decide to analyze the main characters in a work of fiction, or compare and contrast the protagonist with the antagonist. In a poetry analysis, you might focus on the use of imagery, the rhyme scheme or rhythm, or use of metaphor. In a media analysis of a print advertisement or video, you might study the use of design, including typeface or color, signs and symbols, facial expressions, clothing, or actions of the people or figures. An analysis essay requires the writer to make a claim or argument. What is the central idea you want to communicate? Therefore, just like an argument essay, a carefully constructed thesis is essential, and will create a road map for the essay’s organization. In (title of work), (author) (verb, such as illustrates, shows) (element of work). So to fill in the blanks, a thesis could be. . . In “A Good Man is Hard to Find,” Flannery O’Connor incorporates the literary technique of foreshadowing to build suspense throughout the narrative arc. (Author) (verb, shows, develops, illustrates) the theme of __________ in the (play, poem, story). As you can see, once you have a well-defined thesis, the essay organization will unfold as you lay out the components you’ll analyze. For an advertisement analysis, there are numerous components that could be analyzed, from the way the ad is photographed, the action of characters, to the underlying message the ad conveys, so it’s important to narrow your focus. What values or beliefs does the ad communicate? What are the underlying assumptions the ad is communicating? Does the ad perpetuate sexual, gender or other stereotypes? What does this ad tell us about American culture? Ex. 1: In the Gillette razor ad, the images of handsome male athletes conveys the implicit message that consumers of the product will become more strong, attractive, and masculine. Ex. 2: In the Hallmark commercial, pathos is used to convey a feeling of loneliness and isolation that creates an emotional response in the viewer. Ex. 3: By using slender, white, and young models, the Cutie Lash ad perpetuates negative female stereotypes. Once you have a strong thesis, you will organize the essay around your main point or points of analysis. An analysis is considered a formal paper, so keep your voice out of it, and offer well-supported facts and examples from the text or ads. An analysis essay is a great way to show off your critical thinking and reasoning skills. Spending some time developing a strong thesis statement will start you on the road to success. Writing assignments can often be difficult for new students to understand. The academic jargon used by professors often sounds like a foreign language! Learning how to translate complicated assignment directions is the first step to put you on the path to writing success. The first thing you’ll need to do when given a new writing assignment is to consider what the instructor’s expectations might be, so put it in context. Are you reading a chapter on a specific type of writing, maybe a chapter on summarizing or persuasive writing? It’s a good bet the assignment is related to the assigned readings. It’s obvious to state that you should read the assignment carefully, but if you’ve read it five times and still don’t get it, then what? Look for clues, and the clues are in the verbs. VERB: a word used to describe an action, state, or occurrence. The verbs are the key to unlocking the mystery of the assignment. In writing assignments, the verb will tell you what kind of thinking or writing task is required. Some common assignment verbs are describe, examine, explain, and compare. What Exactly is a “Research Paper”? It’s not uncommon to receive a broad, vague assignment such as the “research paper.” Defining the research paper will reap a glut of responses, such as . . .
A research paper is an argument. A research paper is an analytical essay. A research paper is informational. A research paper is the same as a persuasive paper. A research paper is your opinion about something with quotes from experts. Let’s break each of these answers down. A research paper is an analytical essay: True, sort of. An analytical research paper is different than an argument, in that the writer poses a research question he or she intends to “analyze,” but has taken no position on. In this type of research paper, the writer is simply exploring the topic thoroughly and possibly evaluating the research, or exploring a problem. Some instructors might even ask you to write a research paper to evaluate the existing research on a topic. This type of essay is often referred to as a meta-analysis or literature review. A research paper is an informational essay: It can be, but in order for a research paper to be solely an informational essay, like the analytical essay, the writer will take no stance on the topic. The term “informational essay” is sometimes used interchangeably with “analytical essay,” as the point is to simply present information as opposed to take a position and persuade the reader to agree with you. A research paper is my opinion about something with quotes from experts: This type of research paper would be considered an argument essay or persuasive essay (terms used interchangeably) , in that the objective is to persuade the audience that your position should be supported. Any time you see something like “offer your opinion” or “argue your point” this translates to “Argument Essay,” which is persuasive. However, this is where a close reading of the assignment and taking the assignment in context of the class gets tricky. Your instructor might simply want you to write an opinion essay by arguing a point, but include no research. This is similar to an op-ed, or opinion editorial, in a newspaper. So if it’s labeled “research paper” it’s a good bet that you are to include expert quotes from research. Your assignment might have directions that state such requirements as Follow MLA or APA guidelines; include Works Cited; include source information in-text; or peer-reviewed sources required. These are all academic-speak for OUTSIDE RESEARCH REQUIRED. You’ll need to include either direct quotes, summary, or paraphrases from experts, or ideally, a combination of all. Most likely, when this type of research is required, your instructor expects an argument/persuasive essay, with an argumentative thesis. While it’s essential to learn key terms and concepts in academic writing, it’s quite common to become confused when trying to decipher a writing assignment. If you’ve exhausted all efforts and are still confused, don’t hesitate to ask the instructor to explain the assignment and their expectations. Even requesting a sample student paper is acceptable, and many instructors will offer sample papers with the assignment. If you are still in doubt and the instructor fails to respond to your question? With few exceptions, you are probably being asked to make an argument. Convincing your reader of your argument is often the main goal of academic writing across disciplines, and often the end goal in college writing classes. What are your thoughts? Have you had an assignment that was impossible to understand? Terms or directions that were confusing? Share your experiences! When writing a paper that requires quality research, sifting through online databases offered by your college library can feel overwhelming. Depending on your topic, focus, and requirements, you’ll often need to sift through pages and pages of database lists for the information you need. This can often be the most time consuming part of writing a college-level research paper – and you haven’t even started writing yet! Begin at the beginning. What is your topic? What is the specific focus of your topic? Knowing the answer to these very important questions can help you to narrow the focus of your database search. Several of the most popular research databases are multi-disciplinary, meaning regardless of the area of your research, you should be able to find good, quality research on a variety of subjects. Multi-disciplinary databases are like the Wal-Mart of information: they offer lots of research from a diverse assortment of source material. Read on to learn more about the top 5 databases for college-level research and what sets them apart from the pack. 1. Academic Search Complete – EBSCOhost. If you’ve ever written any kind of high school or college paper that requires scholarly research, you’ve likely been introduced to Academic Search Complete (formerly Academic Premier), better known as EBSCOhost. This multi-disciplinary database houses nearly 6600 full-text periodicals, including magazines, newspapers and journal articles from most all academic disciplines, as well as over 6000 peer-reviewed journals. EBSCOhost has several different versions that include Complete, Elite, Premier, and Alumni Edition. Subjects include everything from psychology to vet science; about any topic you need research for, you’ll most likely find it here. The only drawback of EBSCOhost? Too much information. Use your search terms carefully, narrow your focus, or you’ll likely end up with hundreds, if not thousands of results. The search page allows you to do field searches to limit your results to full-text articles only, peer-reviewed only, specific academic journal titles, author, and dates, among others useful limits. This online search engine allows you to find scholarly resources on the web. Once located on the web, you can often click a link that leads you to a specific database where you can find the article. Google Scholar is also multi-disciplinary, allowing users to search across many disciplines and sources that include articles, books, theses, and even court opinions. If you’re at a loss of where to begin, you can start with a wide focus with Google Scholar, and narrow down to specific databases from there. One of the best features of Google Scholar is the search feature that allows you to locate the complete document through your library or on the web. In the right margin, a link will appear if the full-text is available as a PDF, or in your library’s database. One of the best databases to research both sides of an issue, Opposing Viewpoints provides the pros and cons of controversial contemporary issues. The database Includes full-text magazine and newspaper articles, as well as summary overviews of topics, statistics, and even links to relevant websites. A quick browse of the issues covered in OV includes anything from police brutality, affordable housing, health care issues and reality television. Literally any topic you can think of, OV offers both sides of the debate. This is a great place to begin if you’re unsure of the position you want to take on an issue. Like Opposing Viewpoints, SIRS Issues Researcher offers opinions on the pros and cons on current debated social issues. Thousands of full-text magazine and newspaper articles are available exploring current events that include social, scientific, health, historic, economic, business, political and global issues. You’ll see 2 viewpoints, with links to full-text articles of the results. Also on the results pages you’ll see a “Research Guide” PDF link. This cool feature offers a 6-page questionnaire to help guide you through the entire research paper process, a valuable tool. Need statistics to round out your research? Statista probably has what you need. The database boasts immediate access to over one million stats or facts, including consumer survey results and industry studies from more than 18,000 sources on over 60,000 topics. Need to know the total population of the US? 329.85 million. The country with the highest cell-phone subscription? China, followed by India and Indonesia (US is 4th). State with the highest cancer rate in the US? Kentucky. Leading US sales (in dollars) of chocolate? M&Ms. Country with the highest drunk driving rate? South Africa, followed by Canada and the US. While stats and facts won’t necessarily meet your minimum research paper requirements, including shocking statistics can often make your argument compelling and convincing. When beginning research on an academic paper, don’t fall into the rabbit hole of over-researching your topic. Pick a few key databases that offer peer-reviewed and highly reputable research. Focus your search on key topics or specific points you hope to make. It’s not necessary, and often a waste of valuable time and energy, to endlessly browse online research. If you’re not sure where to begin, start with Google Scholar, and narrow your focus from there. Choosing a few key databases will give you what you need from the mountains of online content to write a well-researched paper. A sentence fragment is simply an incomplete sentence, meaning, more words are needed to make a complete thought, sort of like a puzzle missing some pieces. Even though it sounds simple, fragments are one of the most common sentence-level errors for English language writers. To identify a sentence fragment, let’s do a short review on exactly what qualifies as a sentence. A sentence is a group of words that contain at least one independent clause. All of the examples above are complete sentences, and all independent clauses. Even though I drove downtown. Being quiet in the library. Cars honking all night long. Stinging jellyfish on the beach in Florida. Smothered in gravy with a side of bacon. The sentences above begin with a capitalized word and end in a period, but it takes more than that to make a complete sentence! If we were going to turn the previous examples into independent clauses or complete sentences, we would need to add either a subject, a verb, or both. Even though I drove downtown, I couldn’t find the bookstore. I am being quiet in the library. I heard cars honking all night long. Stinging jellyfish swarmed on the beach in Florida. I ate biscuits smothered in gravy with a side of bacon. What other ways could you create complete sentences in the examples above to correct the fragments? It’s often easier to identify sentence fragments when they stand alone, but it gets more difficult when they’re hidden in a paragraph. Can you identify the fragments in the following paragraph? American football is a sport played by two teams. With eleven players on each team. It’s played on a rectangular field with goalposts at each end. The offense, which is the team controlling the oval-shaped football. The offense attempts to advance down the field by running or passing the ball. While the defense, which is the team without control of the ball, aims to stop the offense’s advance. The offense must advance at least ten yards in four downs, or plays. If the offense succeeds in advancing ten yards or more and are given a new set of four downs. They will maintain possession and attempt to move the ball down the field. Attempting to score a touchdown, worth 6 points, or a field goal, worth 3 points. Read your sentence out loud. You’ll hear a sentence-level mistake when you’ll often overlook it when reading silently. Does each sentence have a subject and a verb? If you are unsure, identify the subject – a person, place, or thing being discussed – and verb – a physical or mental action, or state of being. Watch for sentences that begin with “-ing” phrases (being, thinking, doing); these often create sentence fragments. Sentences that begin with words that denote time – while, during, after, since, before, etc. – will always require (at least) one dependent clause and one (at least) independent clause. Make sure the thought is complete. Growing up in a large family in the Appalachian Mountains. He feared that a college education would be an impossibility. Scientists have repeatedly warned us. To stop polluting our water before it is unsafe for human use. After delaying several weeks, Jeff finally began his paper. On the same subject of legalizing marijuana in the US. The planet Venus, known to have a rough surface scarred by volcanoes and quakes. Opera is one of the most appealing of the arts. Although it is also one of the most complex and difficult.